View of “Andra Ursuta,” 2012. Both works titled Commerce Exterieur Mondial Sentimental, 2012. An unusual news story emerged from debt-addled Eastern Europe last January: The Roma (or “Gypsy”) witches of Romania were facing a new, 16 percent income tax. Farewell, black-market magic. Although the new law gave some credibility to the much-maligned profession (the occupation “witch” was officially added to the government’s labor rolls), predictably, not all the enchantresses were pleased. Reports circulated that some covens planned to curse president Traian Ba˘sescu by throwing mandrake into the Danube River. 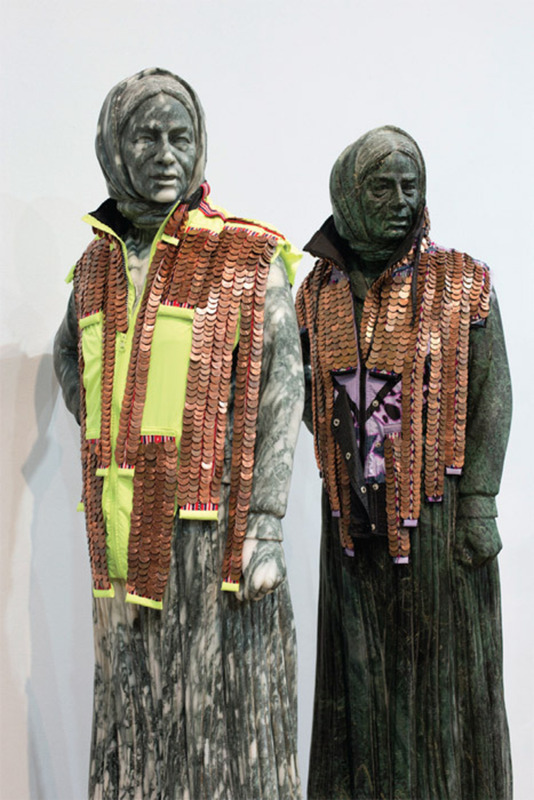 To celebrate these “unknown psychic soldiers,” New York–based, Romanian-born Andra Ursuta crafted “Magical Terrorism,” an exhibition that pointed out the ongoing discrimination the Roma population has faced. The show was an acerbic and alarming tribute.